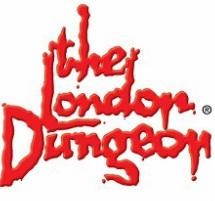 The London Dungeon brings together an amazing cast of theatrical actors, special effects, stages, scenes and rides in a truly unique and exciting walkthrough experience that you see, hear, touch, smell and feel. It’s hilarious fun and it’s sometimes a bit scary. Have a look at this 360 view of some of the Dungeons most popular shows. We're the black comedy of attractions; dark, atmospheric and very very funny. Drop ride to doom….hold on tight.